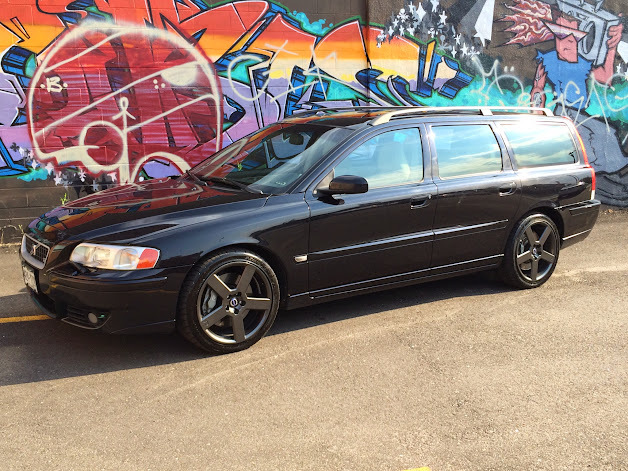 I just picked up a new daily driver that makes more sense to me than the V70R I just sold. I have a decent plan for upgrades for this car. Its my daily driver, so its gotta be reliable, comfortable, and not too expensive to maintain. Here are some pictures from September 2014 when I first picked it up. The old tint was purple and bubbling. I had that fixed up by a local shop with a peel job and some darker newer tint. I also fixed the air conditioning system and installed my racks so I could carry bicycles to races and rides. This is how it looks for now. Parked next to its 25 year older friend. Its been about 5 years since I last owned a 240, and about 20 years since I owned a modified one. 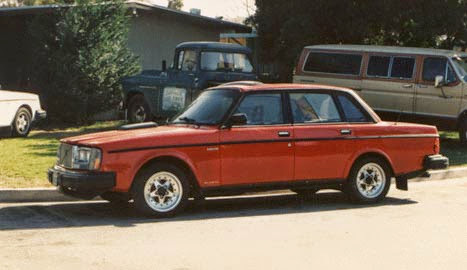 But I started my driving career in a 1980 244, and I'm really stoked to be driving one again 28 years later. I go away to other cars for a while, but always seem to come back to these great 240s. I can't get away. Last edited by qwkswede; 10-13-2014 at 02:18 AM.. I still can't keep up with 79 VW Rabbit Diesels. This car is SOOO slow. Its been a while since I drove an NA 240, but I don't remember my B21 cars being this bad. At least I look cool in slow motion now. New Shoes, New Tint, and all cleaned up for the party. She's not a show winner, but very solid for a car with 200k miles. Last edited by qwkswede; 10-13-2014 at 02:23 AM..
you got my attention... i'm like taut wire..
Hooray, another new project for ya! Going for 600hp in this one? 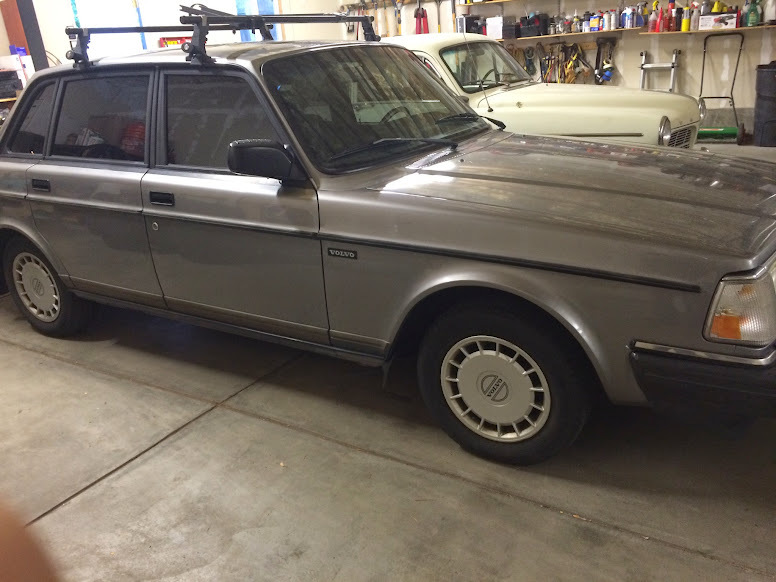 I thought it would be entertaining to outline the history of my Volvo life before I get t0o deep into this new project thread. They say your past shapes your future and I have learned some things over the last few years that have guided my voyage back here to Turbobricks again. These are not all the cars I have driven and owned, and not even all the Volvos I have owned. But these are some of the significant ones that have been projects and made an appearance on the forums. They are definitely my favorites. I started off driving a 1980 244 DL. I built the V8 264 GL that is in the video below as one of my first projects. Recently my families financial life has changed significantly and I needed to scale back on some expensive hobbies that I had been enjoying. The 2006 R wagon was first up on the cutting block to stop some serious cash outflow. It was a really fun car, but certainly not one you can own on a tight budget. I also hated working on it. 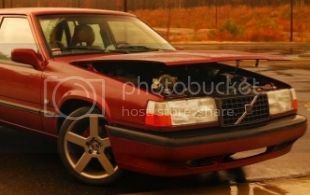 I don't think I will ever connect with the front/all wheel drive Volvos the way I do with the older RWD cars. So after all these Volvos and many others I am very happy to be using a 240 as a daily driver again. I feel like I'm returning home after a long trip. Already this simple car has earned my admiration. It is really fun and enjoyable to work on. Everything works! Its just so simple that there isn't much to break. And some time in my absence 240s have become "cool"?? I guess they are disappearing and much less common than 10 years ago. Maybe it is just rare and old. But I get alot of positive comments on the car. The initial complaint I have with this cars is the engine performance. DAAAMN its slow. way slower than any B21/23 240 I owned in the past. But thats why I'm here to make some improvements and heal the ills. So here are Qwkswedes Volvos . . . Enough of the past, lets get back to the future. No more overly complicated new Volvos for me for a while. I had a taste, and didn't really enjoy. Last edited by qwkswede; 10-13-2014 at 02:42 AM..
v8 240 was new to me....so was the dew, looking forward to see you at work again. 88 740:438WHP @20psi 95b230ft,Wiseco pistons,H-beam rods 9.1cr ,Minor ported 531 head with 38/47 SS valves,Rsi Stg3 cam,Rsi Adj Cam,Rsi solid mounts, Double Valve Springs ,BW S262 turbo,Nathaninwa custom header & Nathanwa Custom Intake Manifold,3.5inch exhaust turbo back,t-5 trans with BNE Adapter plate/shifter extender,stg 5 spec unsprung clutch. Looking forward to watching this, I thought I wanted newer front wheel drive and hate it. Yep. My thoughts too, just too many headaches. 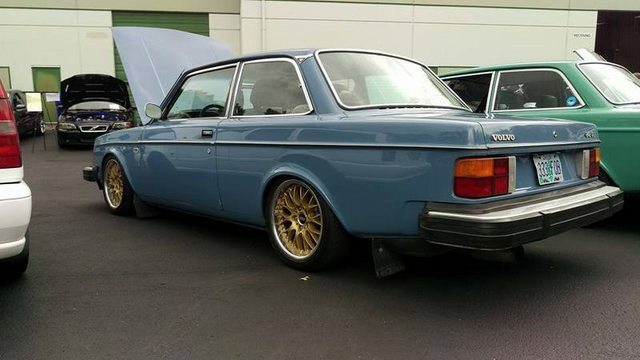 For winter I have a good set of snow tires and I'll be just fine with my rear drive Volvo. And its a good excuse for a work from home day if we get a big storm. I added some cleaned up pics in post 2 above. And then this week my rear muffler fell off. It looks like I'll need to build an exhaust sooner than I wanted. I still need to finish Stage 0, but new exhaust parts are on the way. 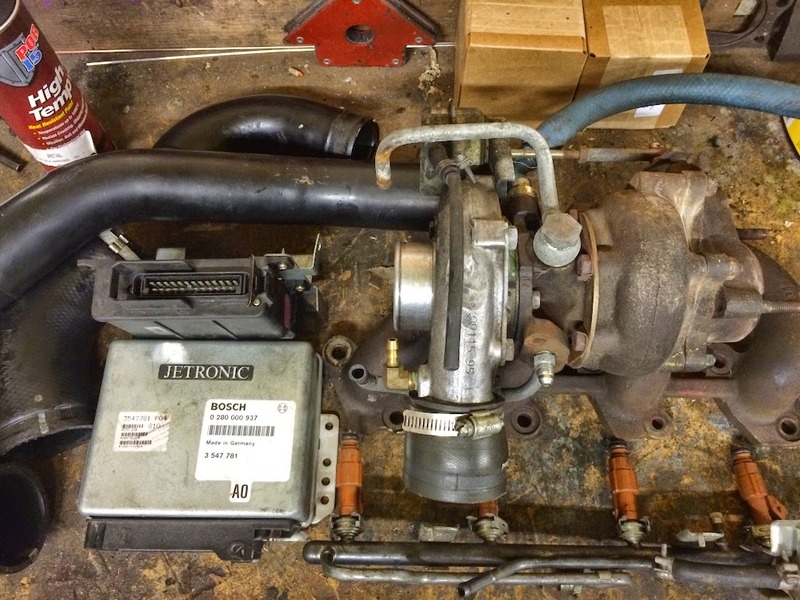 I have a turbo kit coming together. I hope to be running positive manifold pressure by Thanksgiving. And for the sake of being SCIENTIFIC! 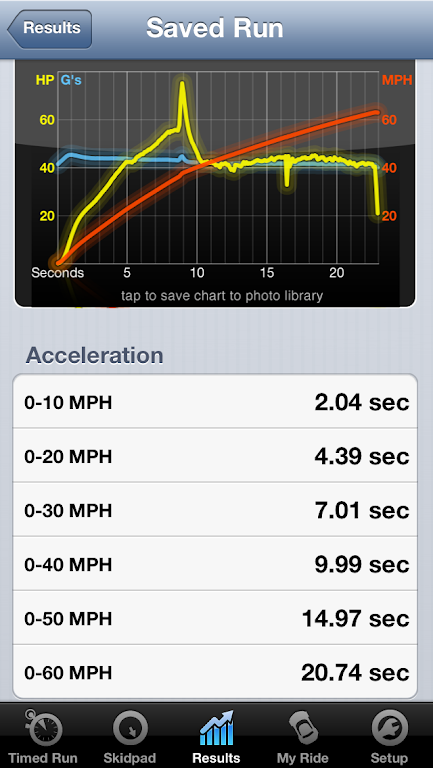 I made some baseline measurements of the cars current performance level. Nevermind the big spike in the torque/hp when the trans made the hard 1-2 shift and lurches forward momentarily. Without that I'm making somewhere between 40 and 50 hp at the rear wheels. No wonder it feels so slow. Auto and 5300 ft are not kind to that car. To ba fair, my 244 was a complete dog even with an M47 behind the engine. Daaaaamn that's like diesel slow. Are you sure the engine is in good working order? He's 1600m up in the air. It happens. The app is Dynolicious. The hp estimate is probably wildly inaccurate, but the 0-60 times are good enough that I should be able to get some comparison info. With altitude losses (~20%), drivetrain losses (15-20%) and the 20 second 0-60 times, I would guess that my 100bhp B230 is making no more than 60-65hp at the wheels anyway. I've been going over the stage zero stuff pretty carefully and can't quite figure out if its really supposed to be this slow, or maybe something is wrong. 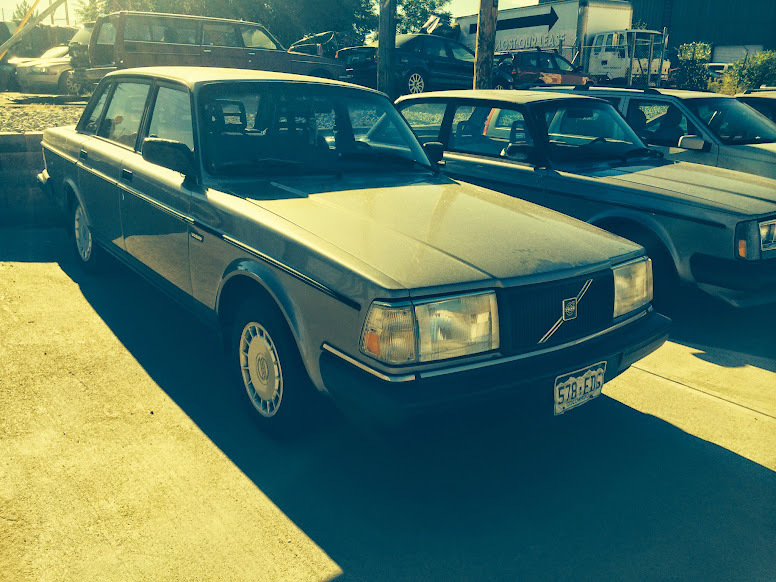 Its been a long time since I drove an auto B230 powered Volvo so my mental reference is pretty far off. I know my past B21 K-jet cars always felt slightly faster than this one at altitude but not by much. It would be a very close race between this 240 and my 1967 122. 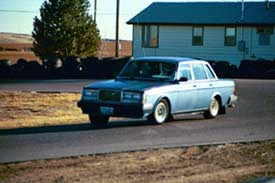 It ran a 23 second 1/4 mile at Bandimere speedway. yeah they're slow.. somewhere in the 18's to 19's 1/4 mile wise (not altitude adjusted). Everything else alright? you get tired of the data-mining gig? Yeah, all is good in life really. I'm still doing Oracle database work at Homeadvisor.com. Its a great place. But my wife is making a go with full time yoga studio operations and enjoying it, but had to give up her job working for other people that paid her. So our dual income scenario has changed. But she's hoping someday the yoga studio(s) will make a livable wage, but if they don't that's fine too. It just means no more newer BMWs and Audis and Volvos in our lives for now. Driving these old cars is a good lesson in conserving momentum. Don't touch the brakes unless you really need to, and carry as much speed through corners as you can. The price to gain back those lost 10mph is pretty high. No turbo, he is actually disconnecting cylinder 2 and 3 spark wires for an Eco boost effect. Oh no, that would be silly. See post 11 for parts collection pics. I'm Just gathering the last couple pieces and might get started this weekend even. The only thing slowinge down is the lack of 240 turbos in the junkyard these days. 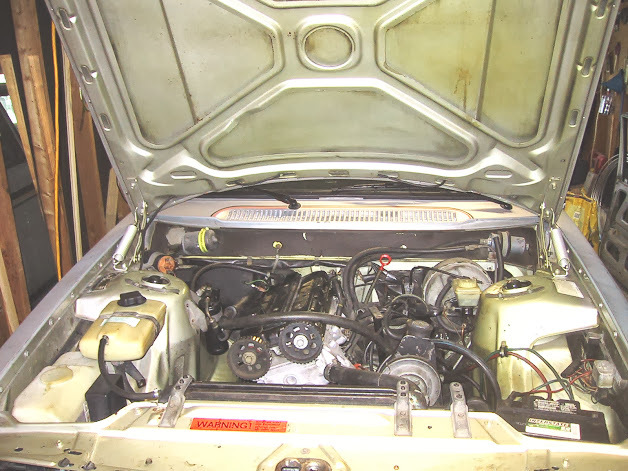 I'd like to find proper radiator and Intercooler brackets, a turbo windshield wash bottle, oil cooler, maybe a t cam. The performance is quite pathetic now. Hm. Maybe a future megasquirt project. I went to college and I'm still terrible at reading. Glad to hear though. 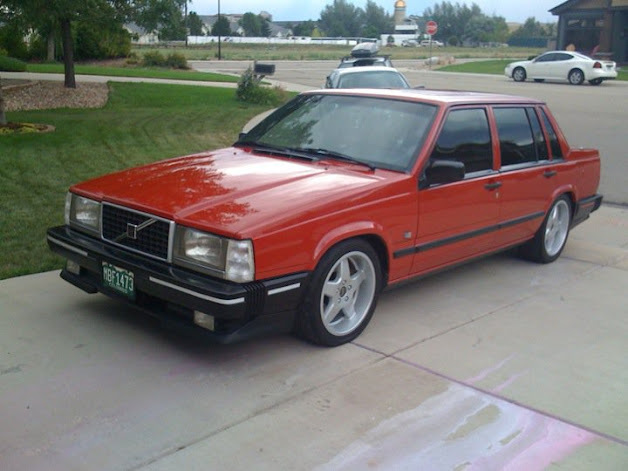 Volvo should have never discontinued the turbo 240. I guess they didn't want to hinder 740/940 sales.